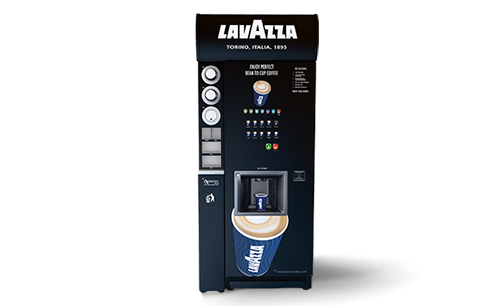 Easy to maintain, user-friendly and eye-catching, the Lavazza Lusso is one of our best selling bean to cup coffee vending machine. 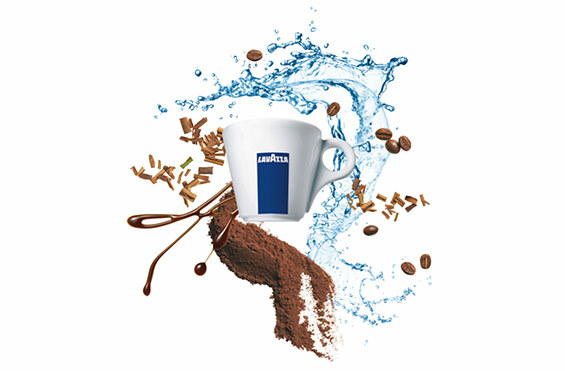 Why Choose The Lavazza Lusso? 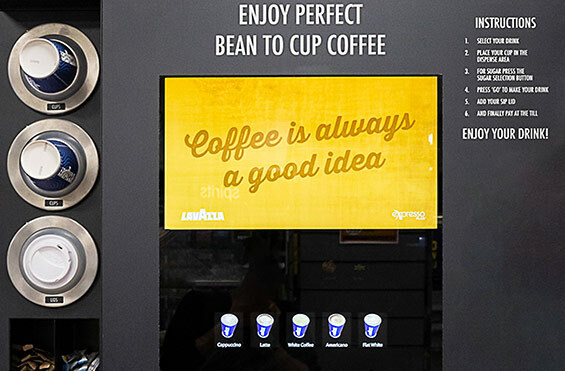 Interested in this coffee vending machine? 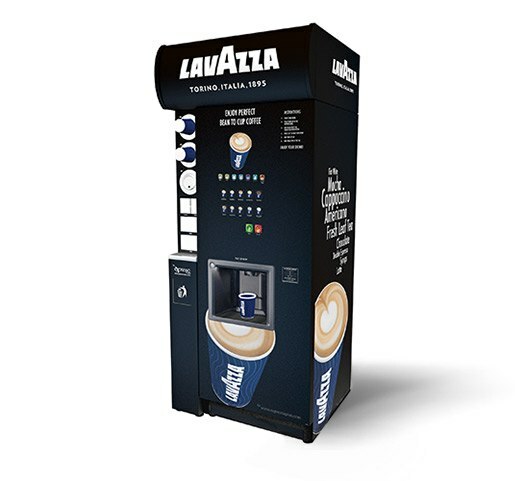 Get in touch to learn more about the Lavazza Lusso. Capture your customer’s attention with the Lusso’s 12 inch media display with touch screen. With its easy selection capacitive touch buttons, customers can easily select and order their hot drinks quickly. The LCD screen can also be used to support in-store marketing campaigns. 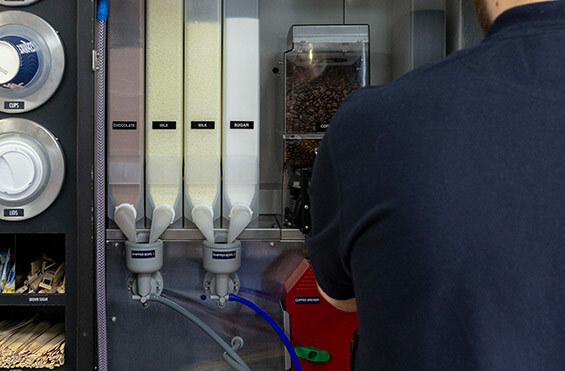 The Lusso coffee vending machine keeps itself clean and in tip-top condition with a dynamic built-in flush system, making light work of everyday care and maintenance. Your dedicated Brand Guardian will provide face to face training to make sure staff are confident in using the machine. 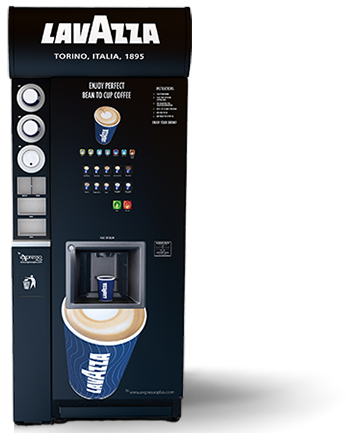 The Lusso’s innovative touch screen displays 7 freshly ground coffee options, leaf tea, hot chocolate, and even soup to tempt and satisfy your customers. The two syrups expand the bean to cup coffee offering with flavours such as vanilla or caramel. Want to know more about Lusso? 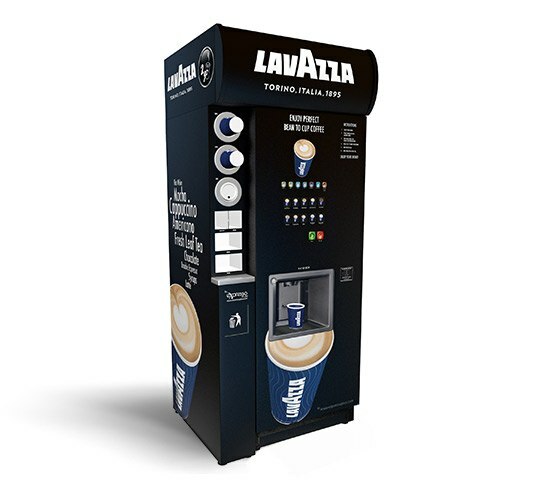 Get in touch now to learn more about this commercial coffee vending machine. 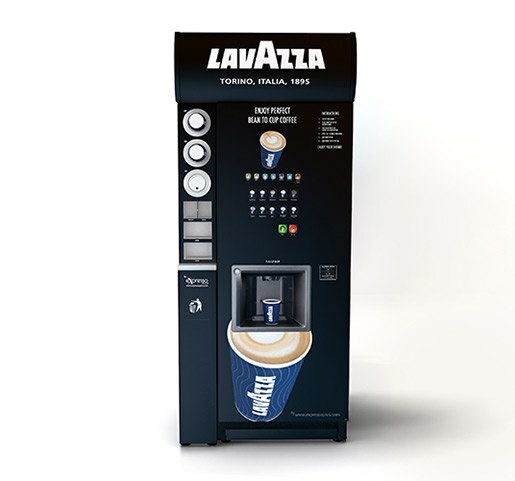 Hover over the machine to see the Lavazza Lusso’s key features. 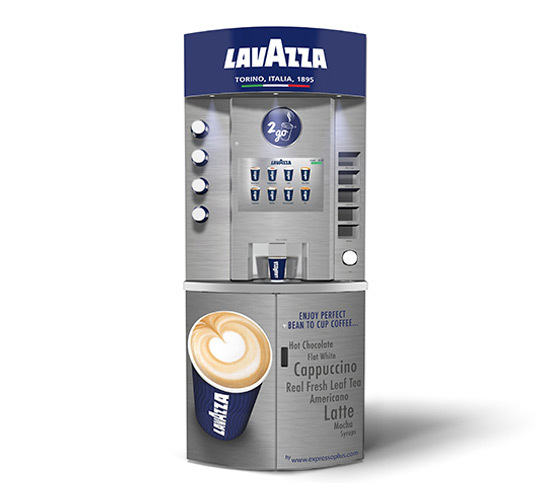 Contact us today to find the best coffee vending machine for your convenience store, forecourt or office.